Rice, Spice and all those things nice that you have left lying around in your vegetable store. 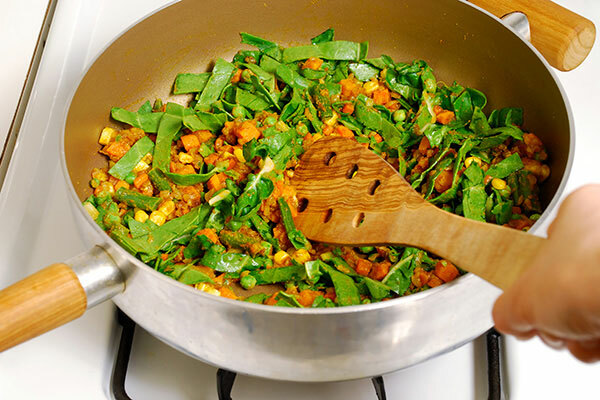 Here is a quick, satisfying vegetarian meal. 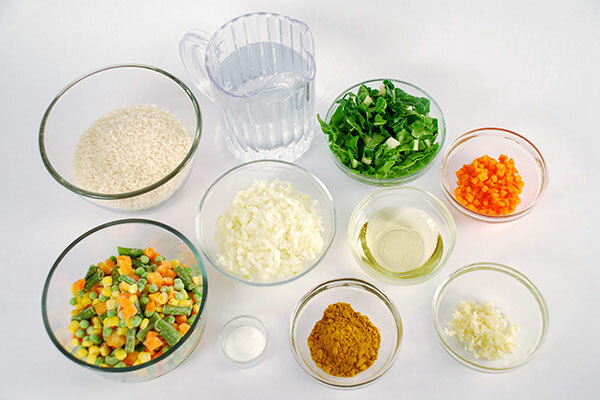 Cut up leftover fresh or frozen vegetables from the refrigerator and stir-fry them with leftover rice. 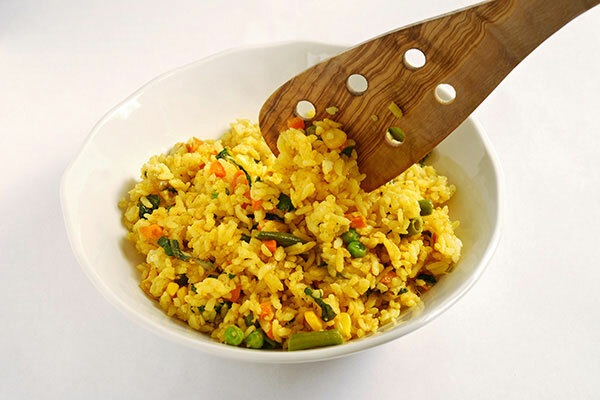 This stir-fried rice gets a nice kick from the curry powder. 1. 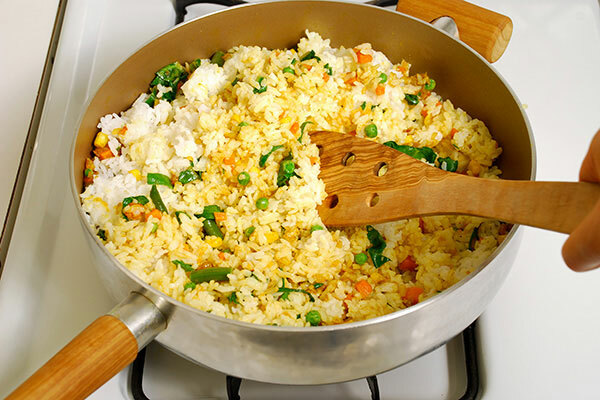 Measure the rice accurately and place in the inner cooking pan. 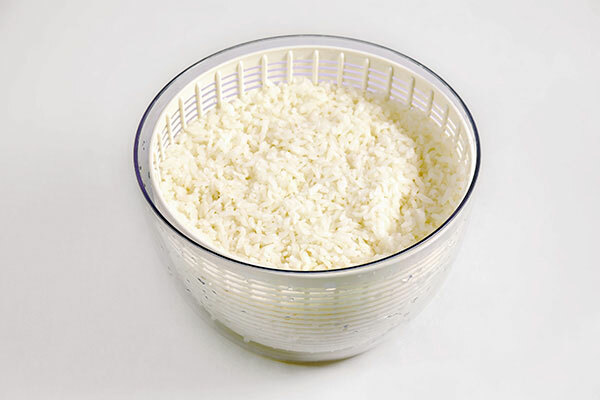 Rinse white rice under water until water clears, or just once if using brown rice. 2. 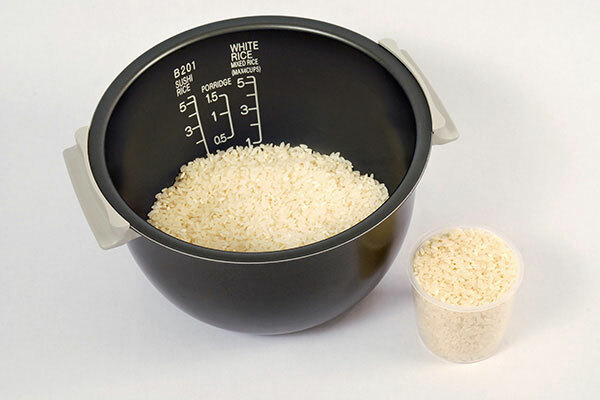 Add water by filling up to the water scale marked “3” for “White Rice” or “Brown Rice,” whichever you are using. 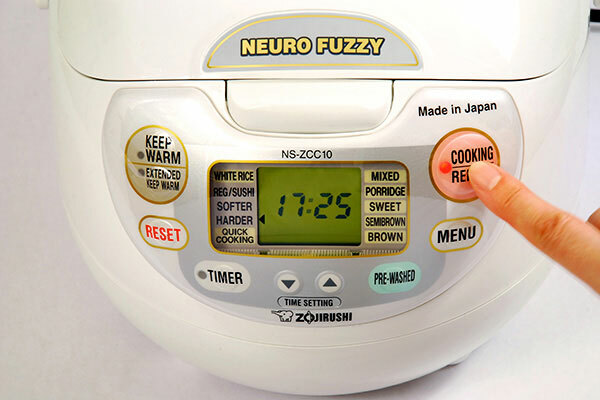 Cook the rice using the “Harder” or “Regular” setting for white rice, and “Brown Rice” setting for brown rice. 3. When rice completes cooking, transfer the rice to a strainer and rinse under cold tap water to cool the rice and remove excess starch. Drain the rice and let stand 20 minutes before stir-frying. When using rice that has been previously cooked and stored in the refrigerator, omit this step. 4. Heat a wok or large skillet. 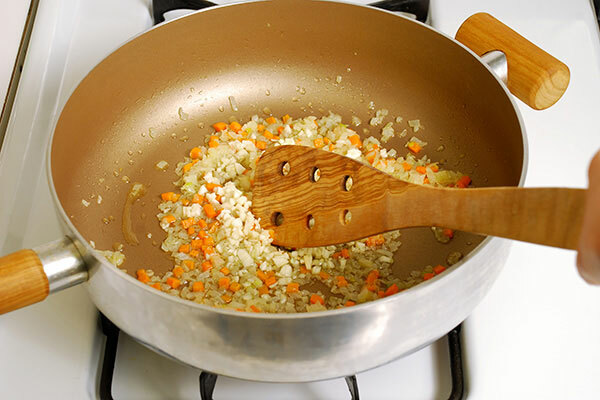 When hot, add vegetable oil and cook onions and carrots over medium-low heat for about 10 minutes. Add the garlic and cook until fragrant, about 20 seconds. 5. Add curry powder and stir several times. Turn heat to high and add frozen vegetables and Swiss chard along with salt and cook until vegetables are thoroughly heated and coated with oil. 6. Add the rinsed or cold rice and cook until heated through and looks well fried. Taste the rice and add salt if necessary. 7. Divide and serve in 4 to 6 bowls while hot. How is Rice good for you? We have all you need to know about rice!